Back with another post in the series that deals with everything related to Shadowland. As I mentioned in my last post, the solicits for September came out last week. Among them was the solicit for one Shadowland tie-in one-shot that I’m really looking forward to: Shadowland Elektra #1. This definitely has me intrigued. In fact this whole event, especially with what we’ve seen of Elektra’s appearances during this storyline, presents a perfect opportunity for examining Matt and Elektra’s relationship. I know that many fans have been wishing for something like this for a long time, but I was never really that much in favor of a big reunion, mostly because I couldn’t see how such a situation could naturally and organically come about. 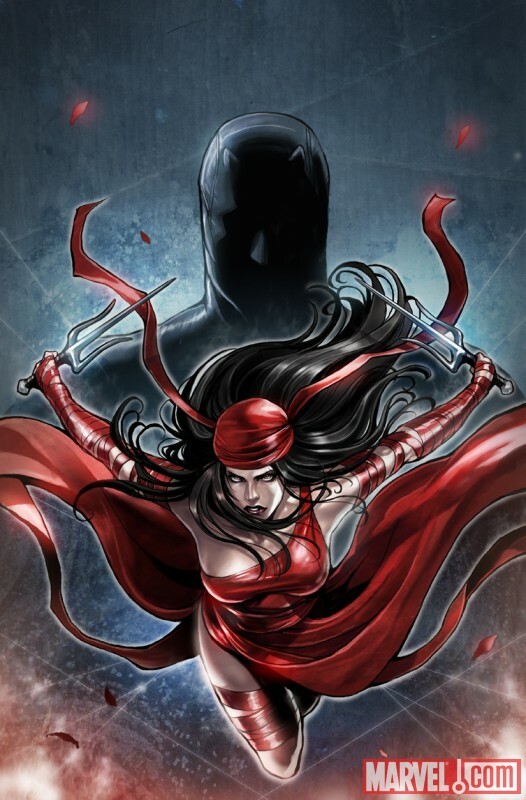 With Shadowland under way, and Matt leading the Hand, it makes sense for their paths to cross in a more substantial way than what we’ve seen during the brief guest appearances Elektra has made in the last decade. 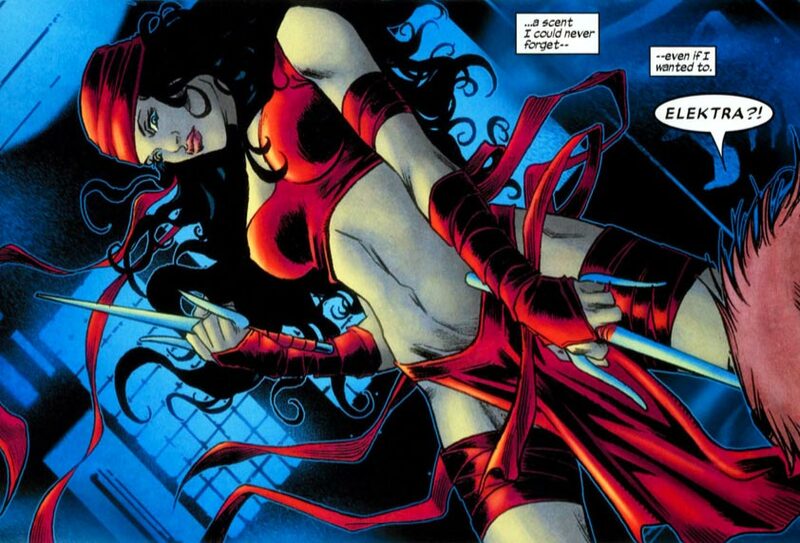 Since the current creative team came onboard, Elektra has appeared twice in Daredevil. We first saw her during Matt’s powerful dream sequence in Daredevil #502 (panel on the left). She returns in a longer and slightly more real appearance in Daredevil #506 (below), but the message she has for Matt is the same: there is something inside of him. What this means exactly is for us to find out. All of the setup here begs the question of what Elektra’s role in all this might be. Is she watching over him? Does she know what the Hand is planning for their new leader? Is she a puppet herself in some capacity? I don’t know the answer to any of these questions, but I haven’t been this excited to catch up on Miss Natchios in a long time.